Every sphere of recorded music, from late-1960s folk to Philadelphia hip-hop to Japanese jazz (a personal pursuit of mine), has its crate-diggers, those happy to flip through hundreds — nay, hundreds of thousands — of obscure, forgotten vinyl albums in search of their subgenre's even obscurer, more forgotten gems. This holds especially true, if not in number than in avidity, for enthusiasts of the 20th-century classical-experimental-electroacoustic tradition that The Avant-Garde Project takes as its preservation mandate. The site offers material "digitized from LPs whose music has in most cases never been released on CD, and so is effectively inaccessible to the vast majority of music listeners today." To the best of the Archive's knowledge, the LPs are all currently out of print, and all the music is extracted with an analog rig that ranks as "near state-of-the-art, producing almost none of the tracking distortion or surface noise normally associated with LPs." The Avant-Garde Project's efforts, the archive of which you can browse here (or alphabetically by composer, or through choice samplers, or through the "AGP top twenty," or through the founder's personal favorites), has borne a great deal of fruit so far, especially from such music-history class favorites as Arnold Schoenberg, whose String Trio performed by the Los Angeles String Trio you can hear above, and Igor Stravinsky, whose Symphony of Psalms you'll find below. 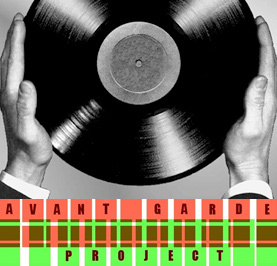 Everything in the Avant-Garde Project's archive comes downloadable as torrents of Free Lossless Audio Codec (FLAC) files. This audiophile's compression format of choice requires a bit of special but easily obtained software to play or burn to CDs, all of which you can get explained here (with even more information here). Those who'd like to keep it simple (if not quite as aurally pristine) can listen through a smaller version of the archive at Ubuweb. Either way, you'll enjoy all the artistic richness of rare 20th-century classical-experimental-electroacoustic music with none of the digging.